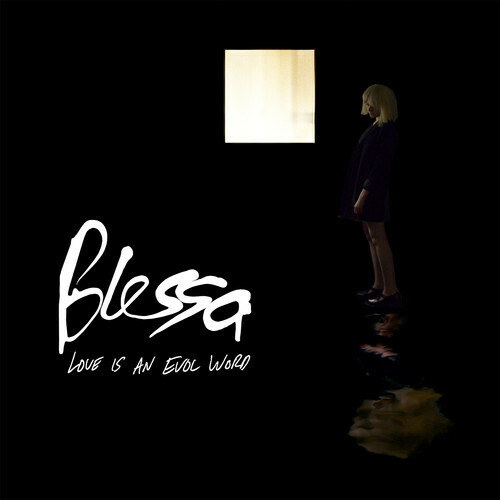 In October last year we reviewed Between Times – the stunning debut single from Blessa. A beautifully melodic and nostalgic C-86 inspired pop tune, Between Times was like a cross between Lush and the bittersweet poppier side of The Cure. Formed through a long standing friendship between Olivia (vocals) and Alex (guitar), the now five-piece Sheffield act will be releasing a new EP Love is an Evol Word next month. In anticipation of the release, the band have shared the track Open Fields. Opening with a melodic bass riff, Open Fields quickly transforms into a gorgeous, dreamy, fantasy-filled world like that of Cocteau Twins. Though Olivia’s lyrics are not always discernible – like Elizabeth Fraser – her gorgeous float-on-air vocals are ever graceful and offer ample melody. The song explodes for the final chorus with double-time hats and jangly guitars giving the song a danceable post-punk groove while the melancholic, Cure-esque bridge made up of a delay-effected guitar line paired with glistening synths, is nostalgic bliss. Like Between Times, the new EP was recorded, mixed and produced by MJ of Leeds psych band Hookworms. The EP Love Is An Evol Word, which features the track Open Fields, will be released 23 June, 2014 on the band’s Carmel Records, in conjunction with Generator.